For the last few years I have loved the Tribute Les Pauls. 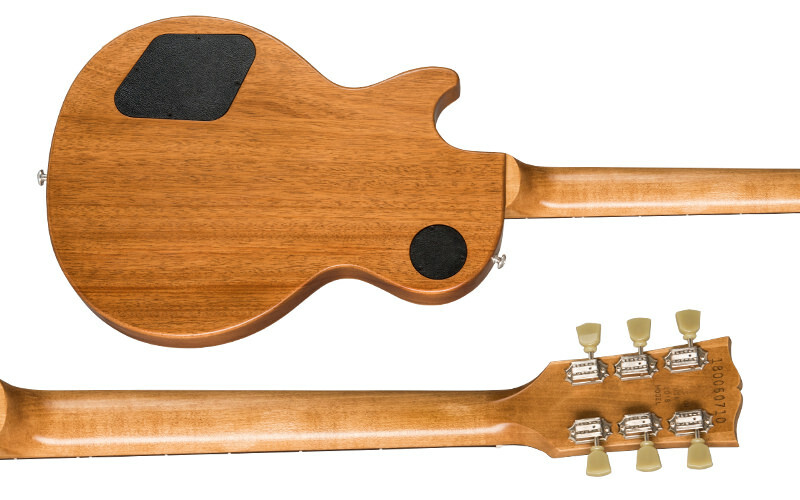 Of all the Gibson Les Paul models, I thought the Tribute line was the "perfect storm" of quality, beauty, and affordability. However I have to say the 2019 model is disappointing to say the least. First I'll start with the good. I'm very pleased that Gibson has expanded the number of finishes from two to four which are Cherry, Iced Tea, Honey, and Tobacco (though I find it odd that Gibson's own website only shows Tobacco and Iced Tea as options, while the other two are available on every retailer's website). The finishes are very nice. So kudos to Gibson for offering more variety. Also, Gibson switched from the metallic top hat knobs to the standard gold knobs. I think this was the right choice as well, as I find they are more eye-pleasing. I'm also glad you stuck with the 490R/498T pickup combination. I'm a huge fan of that tone. Now for the bad. For starters, why, oh why, oh why Gibson did you switch from the traditional trapezoid inlay to that horrendous dot inlay??? Come on Gibson! I'm sorry but, if it says Gibson Les Paul, it should have trapezoid inlay! The dot inlay looks so wrong on this model! Save that for your LPJr's! But for a traditional Les Paul, it HAS to have the trapezoids! That is an immediate deal-breaker for me! Also, why did you go back to weight-relieving it?? My very favorite thing about going from the 2017 model to the 2018 model was that it wasn't weight-relieved. Again, WHY did you do this?? And finally, you removed the pickup covers, which ruins the whole aesthetic of the guitar IMO. Of course, covers can be added after the fact, so this isn't a huge deal. However the other things cannot be fixed. You INCREASED the price of this model and you DECREASED it's value IMO. This was a misstep that I hope you will consider rectifying for the 2020 models. 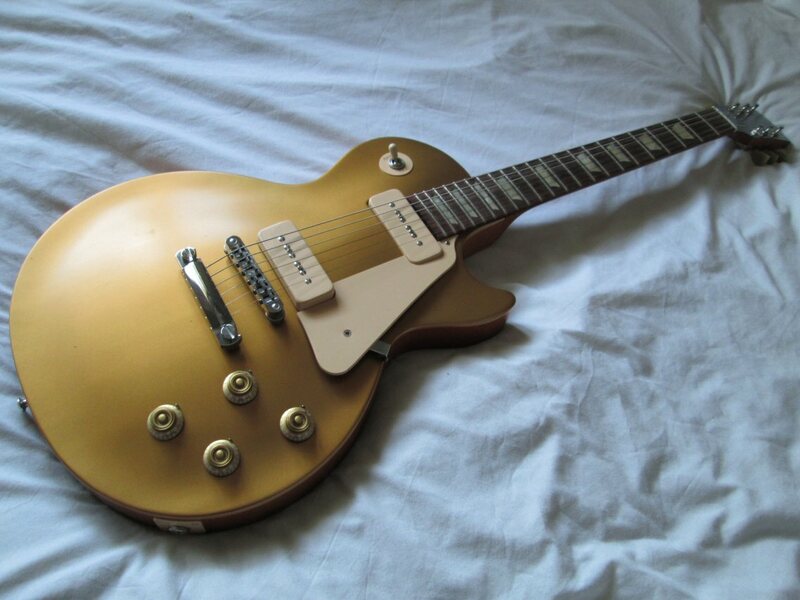 But it's not a traditional LP it's a Tribute model. Not to mention there are only about over 100 LP models on the site, so variety in the LP model is there and had been for some time. I don't know that anyone from Gibson will or won't read this but I'm going to have to agree with a lot that you said. I absolutely love my 2017 Goldtop Tribute with P90's. It has the 9 hole weight relief but still comes in at about 9 pounds and has an amazing sound with and without an amp. Other Tributes I've played have been really nice as well. I always wanted the mother of pearl inlay for the Gibson logo but I was ok without that, the binding, the glossy finish and all that. I have that stuff on my Standard, Traditional and Classic but the Tribute was a great guitar for the money. Now I'm not so sure. I agree that I don't like the dot inlays. It's like they took the lower end faded series and combined it with the Tribute and increased the price? That's crazy. People are fussing about the new Standard as well with all the electronics. I'm not a fan of the new 2019 Flying V either. I'm guessing that they already had these planned a year or two ago and went with them but I disagree with a few of their choices. The tobacco sunburst Traditional is nice, at least. Yeah im not so keen on the dots either.. I love my 60s Tribute which is actually chambered (about 7lbs or so) but is such a fun guitar to play because of that. Also don't like that they are doing the new ones with a maple neck.. I don't like the inconsistency of the colour and grain between body and neck. Yeah, good catch! I didn't even notice that change. Mark that in the "bad" category of changes as well. This is so disappointing. All I wanted out of the 2019 Tributes was last year's design/specs with more finish options. Then Gibson had to go and totally screw with it, making a worse product and charging more for it. SMDH. Sorry, but from what you say, the only problem Gibson has is having to try to please everyone who thinks what they want is what Gibson should do. Not most, but *everything* you mention both good and bad is a personal preference and you rate Gibson solely based on whether what they offer pleases you or not. I'd hardly call that a fair evaluation. Yes, Gibson has a problem, but it isn't what you think it is. Thanks for pointing out the obvious, Sherlock. Of course it's my opinion. Almost everything that gets posted on any forum is opinion-based. However you cannot possibly sit there and tell me that the design choices on this model are for the better. If you do, then you're just being contrarian for the sake of being contrarian. No fan of Gibson Les Pauls wants freaking dot inlay on their necks! You're making my point in spades. Not only are you narcissistic, you think you speak for everyone else with your inlay preferences. With the LPs, the dots are on budget versions because they are a budget feature. If you don't like them, no problem, pony up and get a more deluxe version, and stop whining. No, everything is not opinion based, like quality problems. Dot inlays are on 3K ES-335's. As far as I know Gibson is still accepting applications for CEO. If you think you're qualified you should submit your resume since I don't think posting here will get you consideration. I'm not talking about ES guitars I'm talking about Les Pauls. The trapezoid is one of the trademarks of the Les Paul design. The only exception should be the block inlay on the Custom Deluxe. LOL I sure hope you're not a Gibson representative. Because if Gibson thinks an 1,100.00 guitar is a "budget" guitar then they are more out of touch than I realized. NO guitar that costs north of a grand should be called a budget guitar...ever! As far as I am concerned Gibson can do what ever they want. to any guitar they make. I will probably buy no more Gibson's ever. I've owned around 20 or so and I am down to 2 right now and looking to go to one. My LP is nice, but my Lucille is better. Well there does seem to still be plenty of 2018s about so get one in case they decide never to go back... I didn't realise that the 2018s wernt weight relieved.. But as I said, I have a chambered one with p90s and I love that guitar... Im not really sure it makes much difference. This is my guitar. There are many like it but this one is mine. My guitar is my best friend. It is my life. I must master it as I must master my life. Without me, my guitar is useless. Without my guitar I am useless. I must play my guitar true. That's a sweet sweet ax Rabs! I very well may end up getting a 2018 gold top model. I was waiting to see if Gibson would offer more finishes for the 2019 model, and they did. I LOVE the iced tea burst finish and would've happily gotten that one. However removing the trapezoids and swiss cheesing it are deal-breakers for me, flat out. I'll probably wait another year, see what Gibson does for 2020, and then decide. If they stick with the current design for 2020 I will locate a 2018 model and buy that one instead. If you want a solid body one with traps I wouldn't wait unless you don't mind a second hand one.. Once people realise that the 2018s are better value compared to the 2019s they wont last long. Nice to see someone who puts a much higher priority on function than looks. Far as I'm concerned, I see waaaaay too much forum bandwidth taken up by cosmetics. "Pickguard on or off? ", "Does it make me look fat?" ad nauseam. I can see: "This may not look like much, but man can it howl!" I can't see: "This plays like crap, but man does it look cool!" If you are saying that most of what we talk about on here is mostly pointless and nothing but subjective opinion.. Id agree But its just a bit of fun. And what I see is, if you're going to spend that much money on something, it should both look AND sound appealing to you.